*The author would like to thank his colleagues from "The Judean Hammer", Nathaniel Feingold and Moshe Schwartz for their comprehensive research which contributed greatly to this second article. Few people understand the issue better than they do, as well as the tremendous danger that the "hard targets" pose to the spiritual integrity of the Jewish people. Furthermore, even fewer are willing to address such provocative issues which render one pariah in mainstream circles. 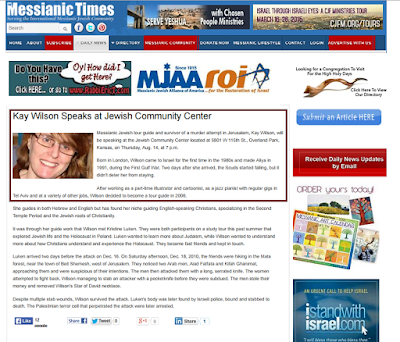 The refrain of neurotic, mainstream, Jewish hasbara (public relations) clowns whenever one questions Israeli activist Kay Wilson about her documented messianic past, prior to the attack on her life seven years ago by Arabs. Certainly, a powerful emotional argument, since the incident involved the murder of her missionary friend, Kristine Luken, and Wilson sustained her own brutal injuries with a machete. Her story is the stuff of nightmares. Arab barbarism personified. The problem is that many people are attacked horribly, both good people and bad people. Tyrants have been torn apart by mobs, and the Turks would have eviscerated Vlad Tepes long ago, if they had gotten a hold of him properly. Very often the madmen of ISIS butcher other equally terrible people who find themselves in their cross-hairs. In the Muslim world, Sunnis and Shiites murder and maim one another all the time. All incidents must be viewed through a prism. Stabbings are terrible and we are emotionally horrified when we consider how we may feel if something happened like that to us or our loved ones. But not all targets are equal. Sometimes bad people get assaulted. 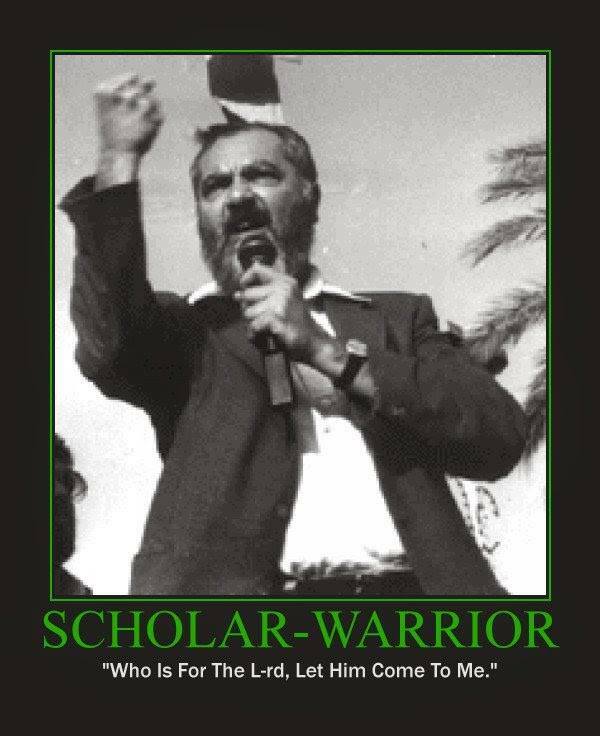 And if a missionary is assaulted, according to classical Torah law, we don’t pity them because a missionary is a spiritual predator of Jews. Even if barbaric Arabs caused the horror. So the authentic Jewish position would be not to mourn the murder of a missionary or the attack on one, despite the barbaric nature of the act. 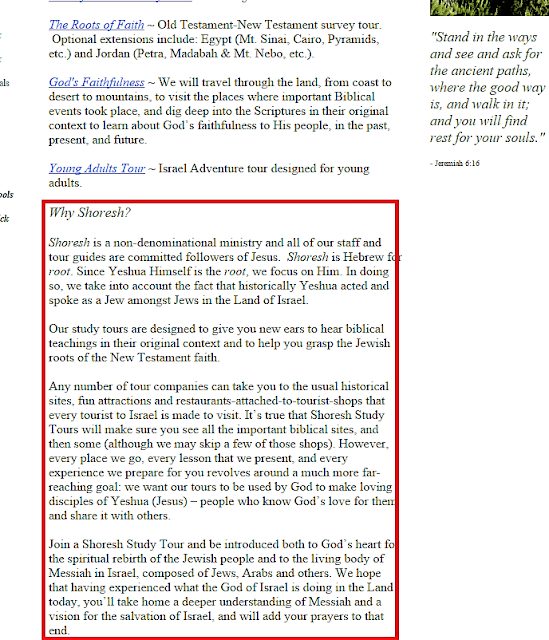 This is Judaism if we are being honest, since missionaries are enemies of the Jewish people. See what our classical Jewish thinkers had to say on such matters. People are sometimes assaulted terribly. Good people and some of the worst people. Being stabbed doesn’t validate one’s worldview or ideology, or give a person an exemption for such beliefs. To be stabbed must be one of the most horrible, traumatic, experiences. None of us should know of it. I have friends who were stabbed. On several occasions years ago, I was ALMOST stabbed, during a street altercation with an anti-Semite. (How is your eye, buddy?) For that matter, I have been almost bashed in the skull Ala Abraham and Glen (a “The Walking Dead” reference) almost shot, and almost run over by a car. Would my views and opinions have more validity if such things occurred, were I too survive? No. The truth is dependent on facts, not whether I survive violence or experience it. Facts are determined by weighing the evidence. People process things differently. Some people are honest. Many are less so. The question remains: was Kay Wilson a messianic. At the time of the incident, the media widely reported that she was. Screenshots attest to this. 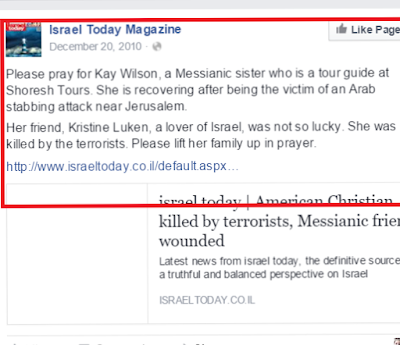 Messianic media and mainstream papers like JPost and Haaretz. They have never been sued for libel to my knowledge. Nor has Kay Wilson publicly stood up and demanded that they remove it. At the time of the incident she was employed for years by Shoresh tours which is under the umbrella of Christ Church, an open missionary organization. Contrary to the false claims of Wilson's ignorant defenders, throughout the years, Shoresh Tours has consistently stated that all their tour guides are believers in Jesus. Of course they do, as an arm of Christ Church! A fair honest question, which deserves a candid answer. I do not expect an honest answer from Kay Wilson or her army of deluded defenders. So, what are we to do seven years later. Ignore it as the hasbara machine has, and allow a former messianic, and possibly current, to act as an advocate for Israel? What kind of madmen have we become? Before the advent of social media, such a person would never speak for mainstream Jews without a very public expression of admitting one’s past and a genuine teshuvah. 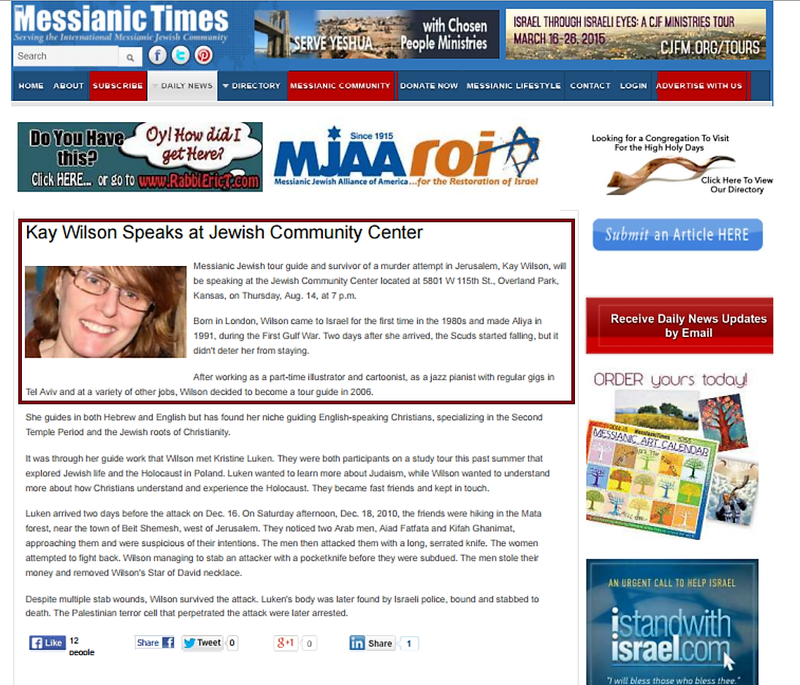 The problem is that Wilson has never done this, and when the few Jews who care question her, we get attacked. In any event, she needs to be vetted, and if she comes out as a genuine penitent, no one would be more welcome in my home. But the process must occur and it hasn’t. And even if she answers the most glaring problem, there are still questions. 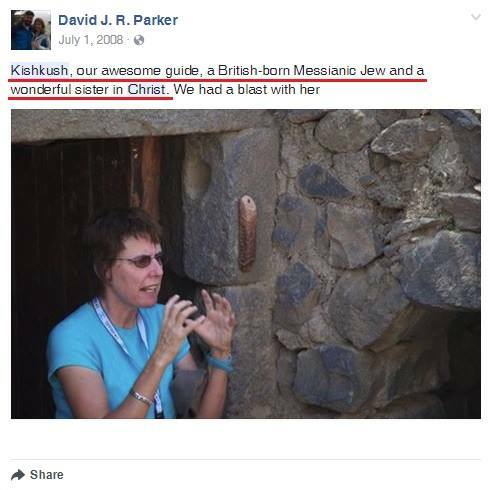 Why does Wilson retain a friendship with David Pillegi of the notorious missionary organization, Christ Church? Normal Jews would avoid such an odious person like the plague. Let the vetting begin. And to those who prefer the limp-wristed diplomatic approach with dishonest people, proceed as you will by yourself. Don’t expect us to goosestep in line. At “The Judean Hammer”, we do things differently. Until Jews start to advocate for Israel from a dignified Torah position, and stop elevating flawed Jews and gentiles who distort Judaism and Torah values, we will continue to regress as a nation. And contrary to popular thought, our standing will erode as well. One fights lies with unbridled truth, not by recruiting faux-Indians and faux-ideologies, or people with messianic pasts who lack the integrity to admit their mistakes. Let the hasbara queens yammer to themselves in their echo chambers. They can shop in the shuk and eat shwarma, as they are wont to do. 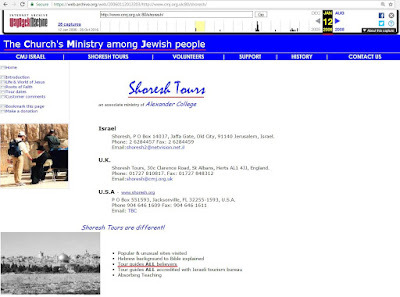 "Zionist things" to do. Sensible Jews should avoid such unscrupulous tokens like a virus. 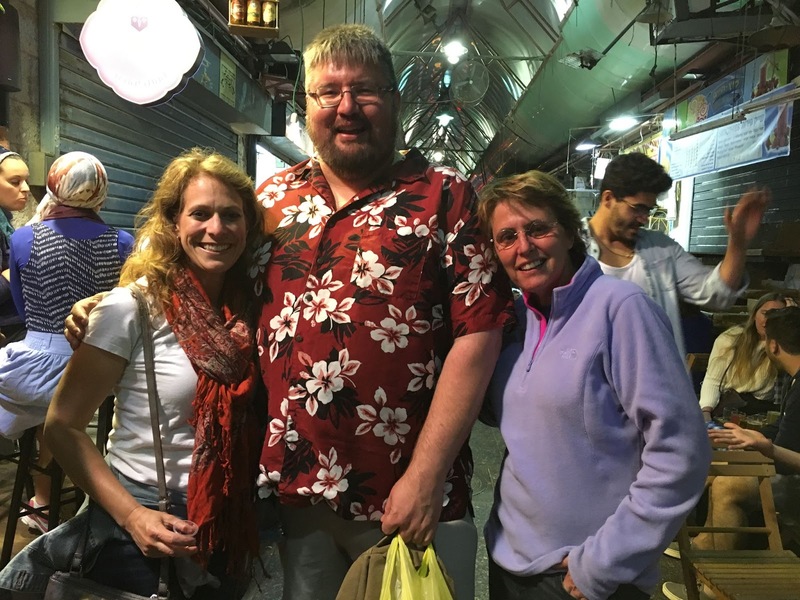 Unprincipled "hasbara" clown & GoFundMe hustler Ryan Mervin Bellerose with Kay Wilson. 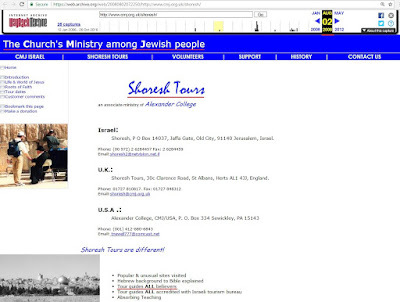 The bottom-feeding, racist, Bellerose is also friends with notorious CUFI missionary Dumisani Washington, as well as Jewish enablers of missionaries in Israel like David Haivri Axelrod, Yisrael Medad, and so many others. 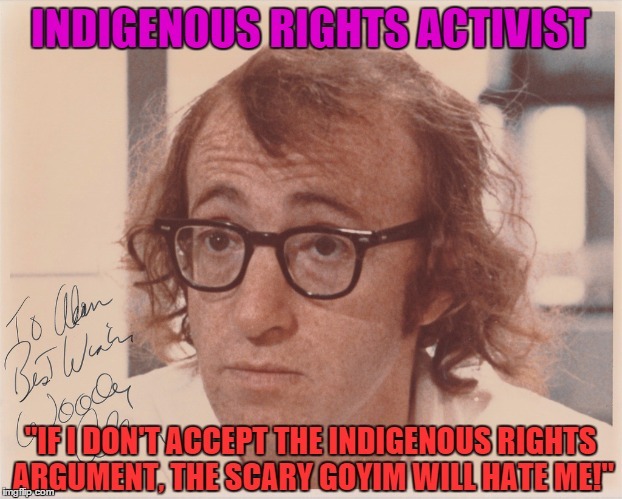 An admitted token by many of his own supporters, he nevertheless interferes in Jewish matters with his trademark arrogance and patented idiocy. 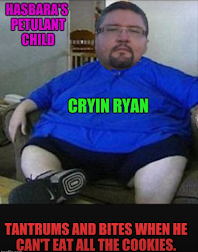 Fortunately, this keyboard warrior is largely recognized by sensible Jews as an arrogant man-child. But in many ways, he personifies the problem of contemporary hasbara.